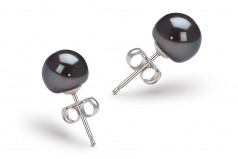 Dark and mysterious the dyed black Freshwater Pearl earrings are a slightly larger than the typical size. 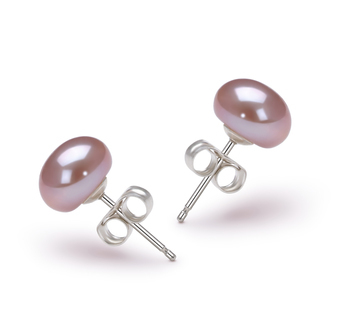 The button styled AAA shape makes for a beautiful and soft fit against your ears with a slight out of round feature, the mirror like AAA lustre dances rather nicely off the smooth surface. 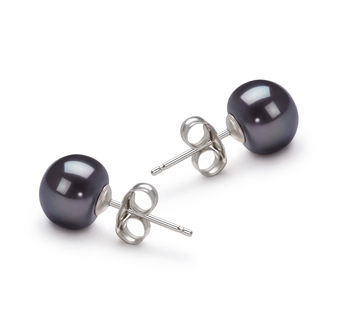 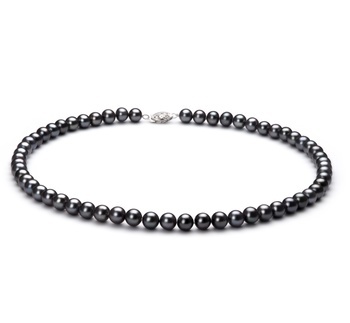 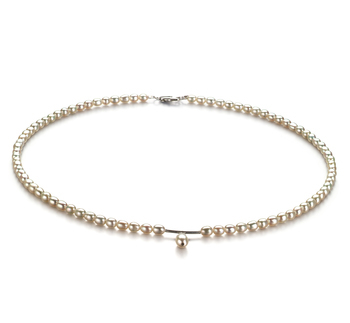 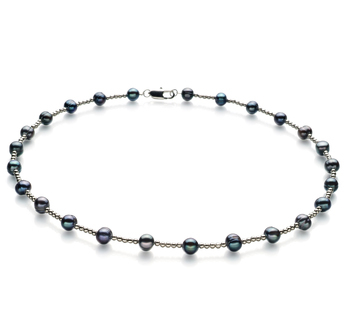 The AA body and overall grade are a delicate combination of all features and makes the Black 7-8mm AA Quality Freshwater Pearl Earring Set a quality addition to your jewellery box. 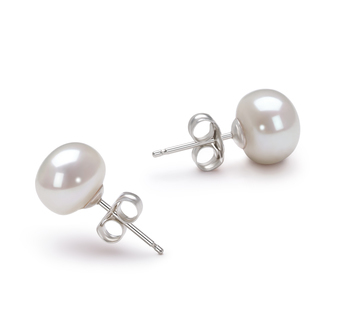 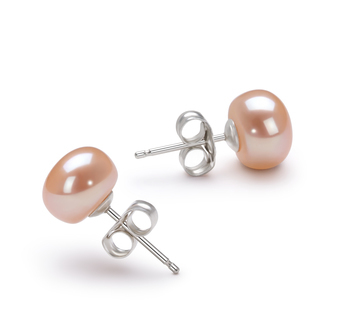 Easily transitioned from casual, business and formal wear, these pearl earrings have multiple uses to revamp any wardrobe.